Brangelina’s brats. Britney flashing her goods. Lindsay’s latest rehab visit. Why, oh why, do we even give these numbskulls the time of day? I buy a magazine and there they are. I turn on the TV and there they are. I can’t seem to escape Hollywood, even though I’m probably closer to Norwood. A word of advice, if you want to endorse something, just smack a celebrity’s face on it – it’s guaranteed you’ll sell more just because their surgically-enhanced mug has been plastered on it. And no, I’m not jealous. 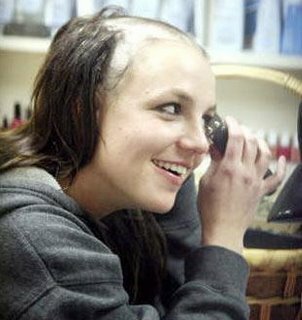 I’m just horrified at how the world has become so “celebritized”. Take this story for example. Yesterday, Barbara, the girl who does the buying for our company, called me to her office. She said she knows that I do mountain biking and wanted to share something with me. I went upstairs in hope that she had found an MTB hunk calendar or something like that. Instead, she opens her internet browser and shows me a picture of Jack Black on a mountain bike. Sigh. 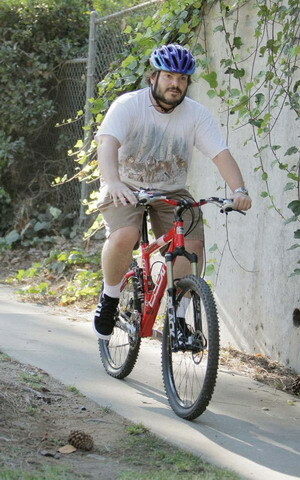 Jack Black on a bike. Oh baby, oh baby (note the sarcasm). Wow! That is so profound and deep. This is really earth-shattering news. What could be more important in the entire world than somebody riding a bike? Who would’ve thought that humans have evolved to the extent that they now possess the ability to cycle? What’s next? Discovering electricity?